Although I found the owner to be attentive and kind. 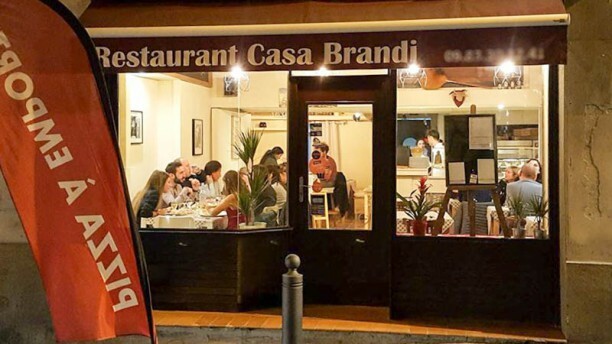 I must admit that I left Casa Brandi feeling disappointed in my overall experience. Which was unfortunate as I went there with expectations of having a nice dinner. The service was slow and not well managed ( I dined alone and had to wait for a large table to be served before I was). I also felt a lack of transparency and honesty. I asked for a glass of wine and was later served a glass which responded to my services. Upon paying I realized my glass cost 8€ which exceeded the costs I had seen on the carte (€4-5). I am not obliged against paying that price but would of appreciated being told that the glass I was being suggested cost more than the rest rather than having to find this out upon paying.